Alas, all good things must come to an end. This is the final entry for Ben Towle's Animal Alphabet. Sob! 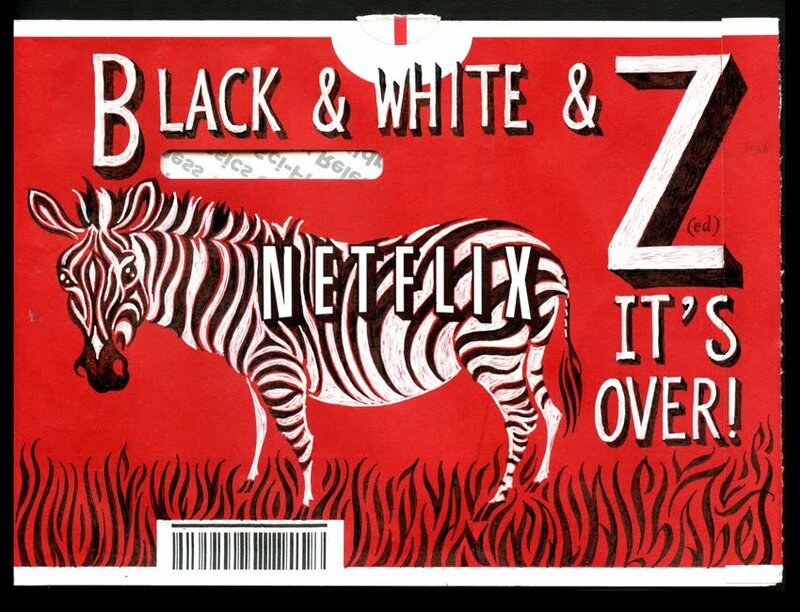 Black rollerball & white gel pen on Netflix return envelope. p.s. It helps if you pronounce the "Z" in British fashion, i.e. "zed." Animal alphabet. It was the first one I noticed. Nice! 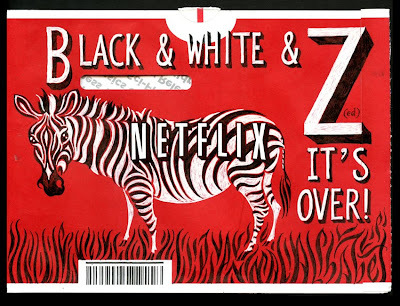 I love the idea of doodling on Netflix envelopes. That blogge mayde me laughen so harde that Ich have busted myne gut. Hey Leah well what a good job you have done, and I think you have made the zedbrah proud. :) I vote that you start again from the letter 'a'. You can never have too may animal alphabets I reckon! This was a very enjoyable (and educational) series. I attend ABC-Scandinativa, but posting photos. Yours is interesting!